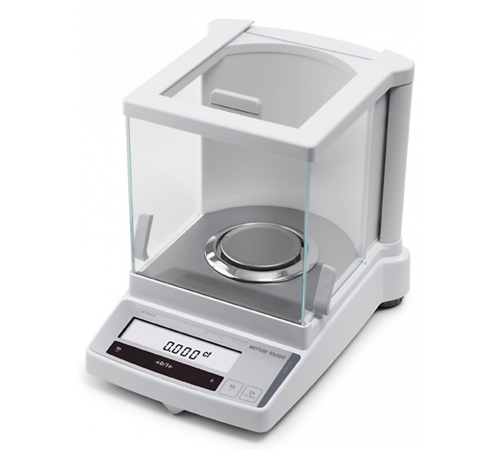 JB-1603 FACT METTLER SCALEMettler Toledo JB1603C/A-F weighs up to 1600 ct. with an impressive accuracy of 0.001ct. It's perfect for accurately calculating weight of precious gems, metals, and pharmaceutical applications. Mettler Toledo scales are perfect for jewelers who are required to use a scale certified "Legal for Trade". Mettler Toledo JB1603C/A-F is certified legal for trade by the STEP, which is required by the Department of Weights and Measures. Mettler Toledo JB1603-C/A with FACT offers additional functions include percent weighing, parts counting, as well as standard weighing modes. Mettler Toledo's JB1603 carat scale offers milligram precision in standard mode or 0.01 ct/g readabilities in NTEP mode. Mettler Toledo JB1603C/A-F features FACT(Fully Automatic Calibration Technology). FACT ensures accurate measurements every time by initializing the scale to an internal weight mechanism. No matter elevation, humidly, or temperature the scale will adapt to the environment. The vibration adapter and 3-window draft protector also assists the scale's adaptation to the surrounding environment; even the most critically threatening conditions will not affect the JB1603C/A-F. The heavy-duty full metal housing along with the draft protector ensures the components in the scale and the subject in the weighing cavity are protected. Weights and Measures inspectors require scales that are used for consumer and business applications to be inspected and certified by the Department as "Legal for Trade". All Mettler Toledo Scales fit this requirement. Readability 0.001 ct / 0.0001 g Maximum Load 1600 ct / 320 g Taring Range 0 … 1600 ct Repeatability (sd) 0.001 ct / 0.001 g Linearity 0.002 ct / 0.001 g Sensitivity drift (10 °C … 30 °C) 2.5 ppm/ °C Typical stabilization time 4 s Adjustment weight built-in Back light yes External dimensions of balance (W/D/H) 245/321/280 mm External dimensions of packaging (W/D/H) 381/436/495 mm (0.082 m3) Weighing pan ø 80 mm Max. height above weighing pan 165 mm Net weight (with packaging) 5.9 kg (8.6 kg) ..
Mettler Toledo JB1603C/A-F weighs up to 1600 ct. with an impressive accuracy of 0.001ct. It's perfect for accurately calculating weight of precious gems, metals, and pharmaceutical applications. Mettler Toledo scales are perfect for jewelers who are required to use a scale certified "Legal for Trade". Mettler Toledo JB1603C/A-F is certified legal for trade by the STEP, which is required by the Department of Weights and Measures. Mettler Toledo JB1603-C/A with FACT offers additional functions include percent weighing, parts counting, as well as standard weighing modes. Mettler Toledo's JB1603 carat scale offers milligram precision in standard mode or 0.01 ct/g readabilities in NTEP mode. Mettler Toledo JB1603C/A-F features FACT(Fully Automatic Calibration Technology). FACT ensures accurate measurements every time by initializing the scale to an internal weight mechanism. No matter elevation, humidly, or temperature the scale will adapt to the environment. The vibration adapter and 3-window draft protector also assists the scale's adaptation to the surrounding environment; even the most critically threatening conditions will not affect the JB1603C/A-F. The heavy-duty full metal housing along with the draft protector ensures the components in the scale and the subject in the weighing cavity are protected. Weights and Measures inspectors require scales that are used for consumer and business applications to be inspected and certified by the Department as "Legal for Trade". All Mettler Toledo Scales fit this requirement.